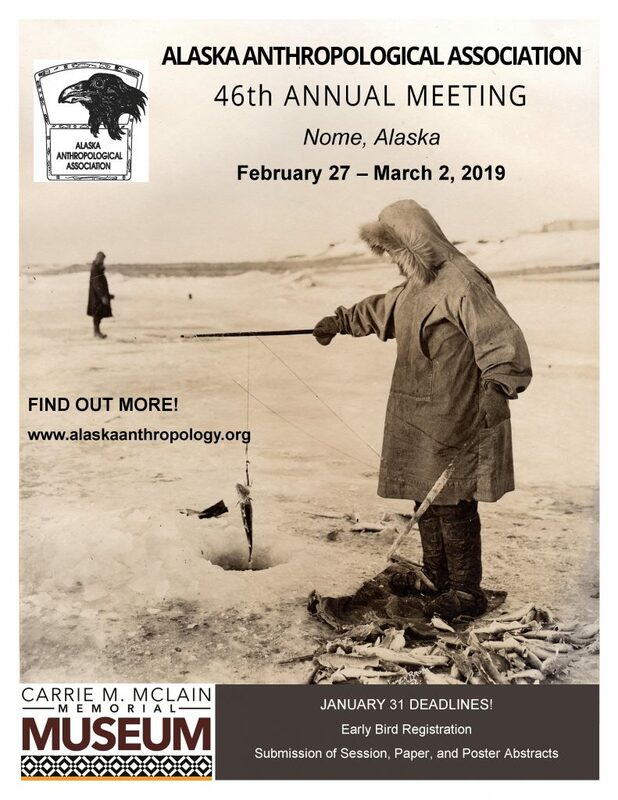 Join us in Nome for the first time in the history of the Alaska Anthropological Association for the 46th Annual Meeting from February 27 – March 2, 2019! This year’s meeting is organized by the Carrie M. McLain Memorial Museum and features a diversity of sessions, public programs, and outdoor adventures that invite you to discover and explore the historical and cultural fabric of the Bering Strait region. For additional details check out the Annual Meeting tab above. See you in Nome!